During 2009 Fernando Orta, Founder and CEO of Podemos Progresar, graduated from Dartmouth, turned down jobs in NYC as a private banker and traveled back to Mexico city with the dream of starting a different Microfinance focusing on helping the ignite the potential of the women at the bottom of the pyramid. Fernando and myself had been friends since elementary school so we started hanging out again. He immediately told me about the idea and I fell in love with it so I gave Fernando my savings. With my money, help of family and his own personal assets Fernando ventured and started handing out loans at the back of his truck. What is you business model? An organization that would focus on igniting development at the bottom of the pyramid not only through credit but through a development platform that englobes education and training; health services; women empowerment and developing business opportunities such as micro franchises. We believe that the micro loan we hand out is only the fuel that allows the family to get going but will never allow them escape the poverty trap. 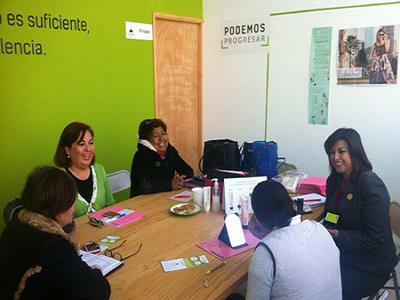 When women get a loan from Podemos Progresar they get access to a growing platform of beneficial services and products. Has the concept evolved since you started? There have been a lot of lessons over the past six years and a half, but probably the most important lessons that we have encountered with over and over is that no matter the amount of planning, work, pressure, good results and/or mistakes we have to learn that the obstacle is the way, enjoy the journey and one day at a time. How did you develop key partnerships? The only aspect that has mattered is trust in each other and having every morning the same goal, trying to be better than yesterday and working hard and smart. We pretty much invest all income generated, we have government support through loans and funds destined to grow and expand the business. Finally we sold in 2014 equity to a investment fund based in NY. There is no mistake that we can consider to be big, otherwise we would not be standing and growing. But if we could start all over again I would say we would move slower, don’t put so much pressure on ourselves and the organization to achieve growth. 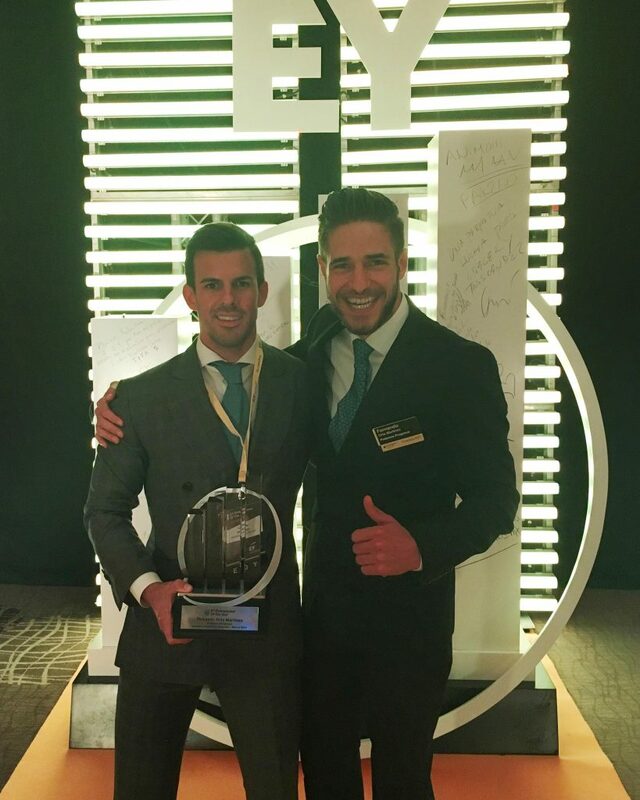 Did you always think that you wanted to become an entrepeneur? No, before starting my major and having my first real job I always pictured myself working for a big enterprise and belonging to something global. I don’t believe there is a right or a wrong decision (working for someone or starting your own venture), its a matter of doing what will bring you the biggest satisfaction. Your life as an entrepreneur in one word? What are the most important features to have in order to become an entrepreneur? Humble in our aspirations, gracious in our success and resilient in our failures. Enjoy every day of the venture, it will never get easier and will never turn out as expected. It is important to have a clear why you are starting the business. Do you intend to expand soon? We are expanding. We have growth over the past six years 100%+ each year in terms of number of clients, revenue and loan balance. Do you count with external founding? Do you believe that it is possible to start with little or no money? It is possible to start with little money, we did it and I believe it is even a smarter choice. It will make you work smarter, understand the business and envieronment in more depth to allocate the small resources in the best way possible. We do have external founding private and from the Mexican government. Understanding that each day there is something we will and need to learn, that no matter how much we work, study, learn, win or loose there will be more to be done. For us it is not anymore about a tangible value, a specific value or income that the company achieves (must admit though it motivates and it still is important), it is today about allowing to become better and enriching our environment through our WHY. There will always be pressure to perform, to achieve and to succeed. Success is a matter of perspectives but it doesn’t matter what that perspective is it will involve pressure and stress… Enjoy the ride, understand that ego will get in the way and everything that can go wrong will; but this doesn’t mean you will fail, be unsuccesful and not happy.